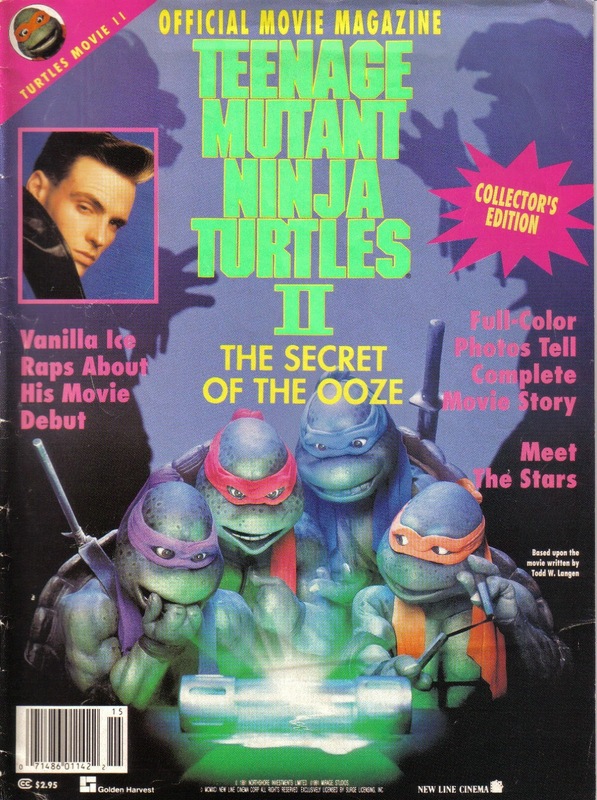 This special issue contained only behind-the-scenes features on the film "TMNT II: The Secret of the Ooze". It contained no comics. I'm including it in my archive for posterity. *This issue was published in 1991, but the cover and indicia do not provide a month. Since the "TMNT II" movie came out in March of that year, I'm going to assume the issue was published sometime before that, early in 1991. It was likely published between TMNT Magazine (Welsh) #2 and TMNT Magazine (Welsh) #3. *This issue was published as a special and is not part of the numbered TMNT Magazine series. Confusingly, coverage of "TMNT: The Movie" and "TMNT III" were provided by numbered issues in the series: TMNT Magazine (Welsh) #1 and TMNT Magazine (Welsh) #12, respectively. Like I said, nothing to review. But people have been a little confused, thinking this issue is part of the numbered TMNT Magazine series and wondering why I "skipped" it. To curb such confusion, I'm throwing this info up in the index.